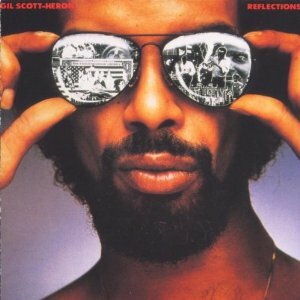 By now, I presume most music lovers are aware that Gil Scott-Heron died (around 4pm, Friday, May 27, 2011 in New York City). Tons of memorials and tributes are pouring in from all over the globe. Gil truly touched people worldwide. We have featured Gil numerous times over our nearly six years of our website’s existence (we started June 18, 2005). We not only were full of praise for Gil, we also asked hard questions, painful questions. Gil was not only a man of contradictions, he was also deeply honest about contradictions including his own shortcomings. 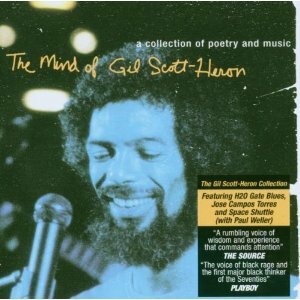 Here is a list of some of our Gil Scott-Heron write-ups on BoL: GSH-1, GSH-2, GSH-3, GSH-4, and GSH-5. I don’t expect people to read all the previous postings, and furthermore, we don’t intend to repeat ourselves here just to add more words to the pile of testimonials. 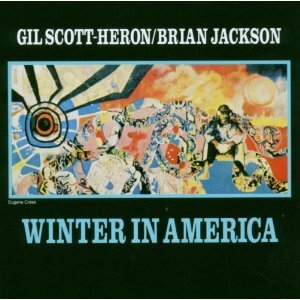 But there is one point I would like to make: Gil Scott-Heron was a major composer in addition to being a masterful performer. 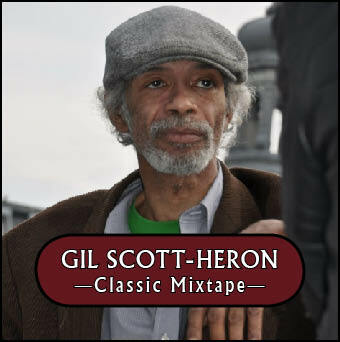 I call this Mixtape Gil Scott-Heron classic mixtape not because it features the most famous or even most impressive Gil Scott-Heron songs. For example “The Revolution Will Not Be Televised” is not included, nor is there even one of the numerous versions of “The Bottle.” And I’m sure people are going to wonder how in the world I could not include “Is that Jazz” or “Inner City Blues.” And for those who like to party hard, or maybe just to dance until they drop, I’m sure you think I’m positively lame for not including “Angel Dust” or especially for skipping over “Johannesburg.” But there is a reason for my madness of excluding popular songs. 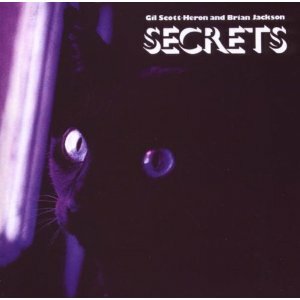 Some of the songs included here are rarities in Gil’s copious catalogue. Plus, some of these versions are not the studio recordings but live performances of diverse provenance. I had three little guidelines in mind. I assumed that over the next week or so you would be able to hear the major hits from a plethora of online and radio sources. Therefore I didn’t feel any pressure to assemble a greatest-hits mixtape. 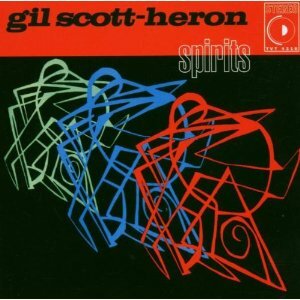 In addition, I wanted to highlight Gil as both a poet and a composer by including a wide range of his work. I’m sure that the majority of people will be hearing the poem “Jose Campos Torres” for the first time. I’ve included “The Ghetto Code (Dot Dot Dit Dot Dit Dot Dot Dash)” especially for those who have never heard Gil live, especially Gil in his prime at the top of his game both fully in control of his faculties and in full synchrony with his audience. 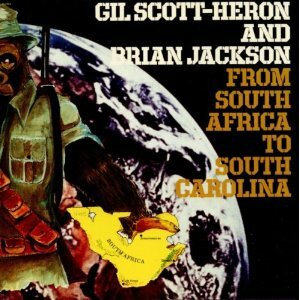 Many people may not be aware that Gil wrote as many ballads as he did, after all Gil was often characterized as fiercely political but he also wrote some of the most tender love songs you ever want to hear. In a couple of cases, most notably “Morning Thoughts” Gil was the master of merging the personal and the political in ways that seamlessly transitioned from romance to revolution within three minutes or less. Finally, I had a not so obvious goal in mind. In this time of mourning and grief about Gil’s transition from the land of the living, I wanted to put together a mixtape that encourages us to be optimistic about our ability to create a better world, our ability to live better and more beautiful lives. Gil had the ability to be serious without being grim, to come hard and at the same time be funny as hell. I wanted to put listeners in a reflective mood that hopefully would encourage and inspire action. 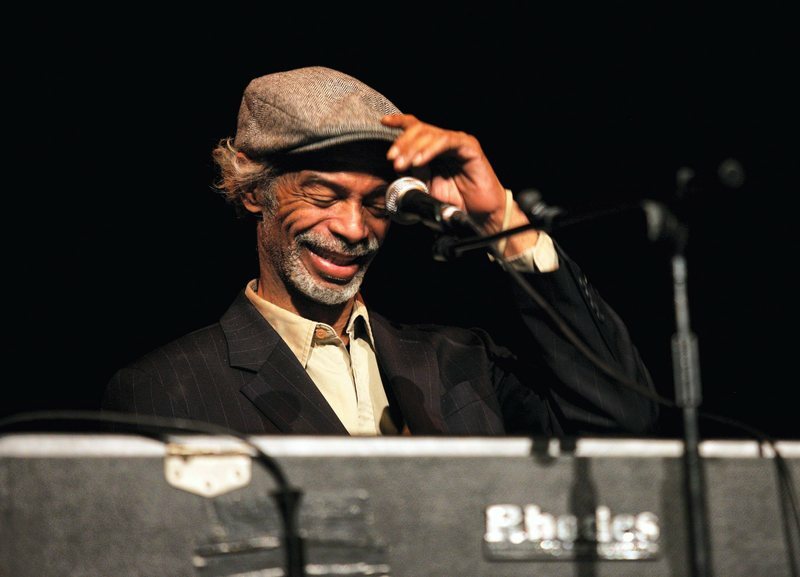 I believe we should celebrate and commemorate Gil Scott-Heron not only by listening to his music but also by making this world a better place—a place of peace, sincerity, and of humane resolution of inevitable social contradictions. 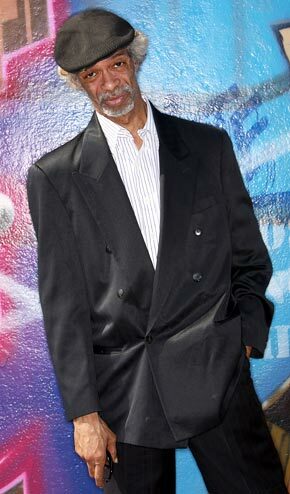 The last time I saw Gil Scott-Heron in New Orleans was at the Essence Festival, I believe it was July 2008. I went mainly because I thought that might be my last chance to see him perform. Reviews and photographs from that period were not encouraging about both his health and the quality of his performances (or, for that matter, even showing up for a scheduled gig). While that performance was not the best of Gil Scott-Heron and the set-up in what was called the Super-lounge (there was no seating, so you had to stand, and as you might imagine, it’s hard to "lounge" standing up) was not conducive to a relaxed set, still Gil was in good spirits and the performance was much, much better than I expected. 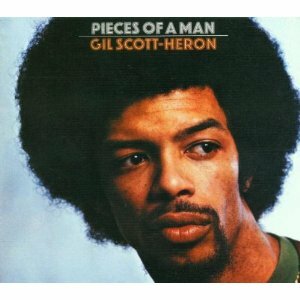 The last time I saw Gil perform was March 2010 at the National Black Writers Conference in Brooklyn, New York. 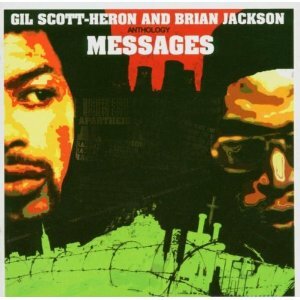 Talib Kweli opened the show, and Gary Bartz was a back-up musician for Gil. Although the set was short, Gil was great. And now a year later he’s gone. 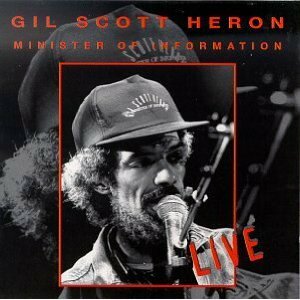 Gil gifted us with a cornucopia of beautiful music, vibrant, meaningful, inspirational sounds and vibrations. 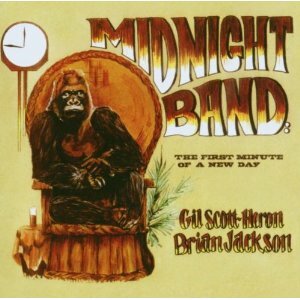 Through his recorded music, yesterday, today and tomorrow, Gil lives.